Remember Dust in the Wind and Carry on My Wayward Son? The million selling, golden songs of a garage band from Topeka, Kansas. They also penned a song called The Wall three years before Pink Floyd took the concept to the max with an album and movie. 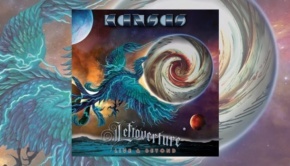 Kansas’ Leftoverture album is still one of my favourites of the ’70s, but Point of Know Return, Best of Kansas and the live Two for the Show also joined it as multi-platinum releases for the band. 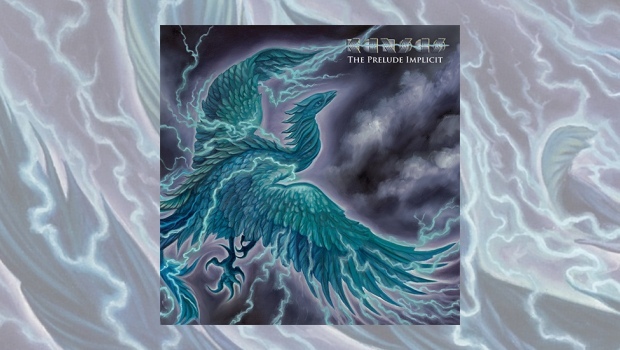 Kansas returns in 2016 with new album The Prelude Implicit and although it does not contain a song memory like those noted at the start of this review, it has sufficient power and contains enough of the band’s uplifting message to fill the dark air surrounding this planet. 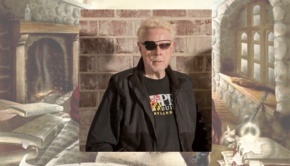 Song writing and performing has never been a problem for Kansas. This is the first album without singer/songwriter Steve Walsh and keyboard/guitar wizard Kerry Livgren, and their absence is sincerely felt. One thing that Kansas has kept in their music is the signature instrument that separates them from many other bands in the genre of prog, the violin, and once again they use it well here. The new incantation of the band includes founders drummer Phil Ehart and guitarist Richard Williams together with bassist Billy Greer and violinist David Ragsdale who respectively joined in the mid-’80s and early ’90s. These four are joined by new recruits David Manion on keyboards, guitarist Zak Rizvi and lead vocalist Ronnie Platt. Don’t you feel the darkness? There are good harmonies on Visibility Zero, but Platt’s voice gets lost in the soundscape that plays around him. The violin work is some of the best on the album and the lyrics are great (“Crazy how this world of ours is spinning wild. How we fail to see what’s right before our eyes”) but they are washed out when compared to the strength that Walsh used to command. Although Platt’s vocals are similar, they seem higher pitched than Walsh and that may be why they appear swamped amidst the violins and pianos. The Unsung Heroes is a very good bluesy rocker, Platt getting more breathing space without the music completely dominating his vocals, the regal violin and guitar solos worth every moment. Rhythm In The Spirit is another rocker, full of flashy lead guitar, bass, organ and drums with wind instruments adding more dimension to the sound. The bass and other soloing on this track is a nice gift with some acoustic guitar and violin at the end, just like it used to be. And give sanctuary to this refugee! Oh what’s become of us? Are we so blind that we can’t understand? 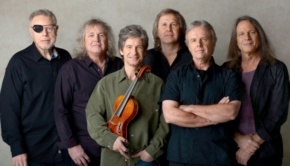 The Voyage of Eight Eighteen is a mostly instrumental piece in the vein of some of the band’s greatest works, like Song For America or Cheyenne Anthem. Platt sings, to wonderful violin accompaniment, “Somewhere there is a place for all the things that live and breathe…exist in harmony”, like Somewhere Over the Rainbow from a movie partly set in the state of Kansas, The Wizard of Oz. The words, concepts and music take you back to a better place, a deep, soulful and spiritual cry for a world lost in chaos and permanent change on the road to something no one expected or dreamed of. There is wonderful promise in these words which we unfortunately do not hear often enough of in modern times. Camouflage opens with epic keys, drums and guitar rhythms, like the dawn of a new day, in a song about being yourself and not hiding behind a façade. Summer, sung by Greer, is another great rocker with powerful guitar, bass and drums, happy lyrics remembering past glory. Crowded Isolation opens with excellent acoustic guitar before keyboards and drums fill the arena. Finally, David Manion gets some showcase moments for his keyboards, but they are fleeting. A nice violin solo, and we’re back to grinding guitars, bass and drums. Section 60 also allows Manion space in a nice epic opening with violin accompaniment, but the other instruments soon drown out the moment with more overkill. The soundscape is too full… just before a closing drum and violin send off. 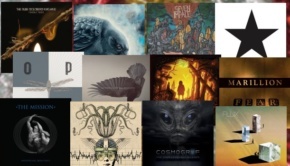 The Prelude Implicit is not – and could never be – the “rising of the phoenix” that the thematic cover art conveys. Without Walsh and Livgren this band is close, but will never reach the pinnacle of success that Kansas used to easily achieve. Platt is good, but they need the power and direction of Walsh’s voice. Without Livgren’s Moog and synthesizer extravaganzas this might as well be a band like Foreigner. The violin retains the classic sound and the warmth of the inspirational lyrics remain. They are so close, if only they could have brought the whole band back together. If this album is successful maybe that will happen. We can only hope.